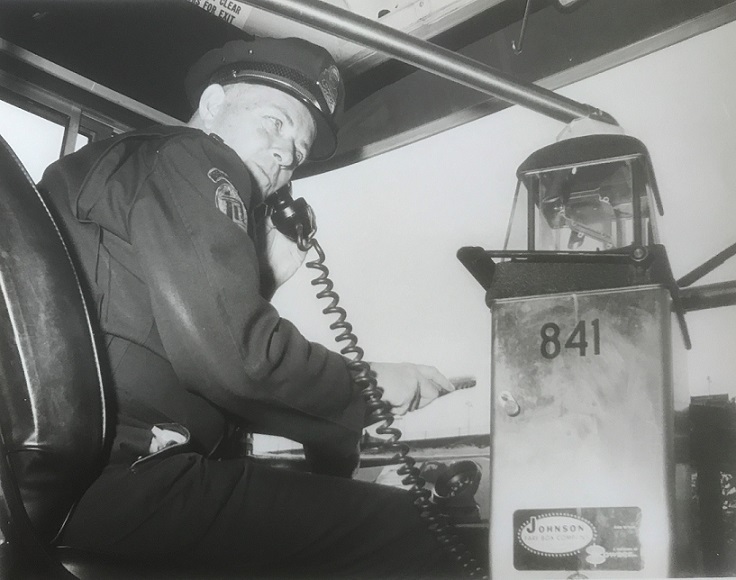 Before GPS tracking and scheduling, NYCTA and MaBSTOA had the latest in technology, two way radio communication. The driver appears to be same man in both photos. First photo is a Flxible, first group ordered by NYCTA; the second photo is a GM TDH-5303. 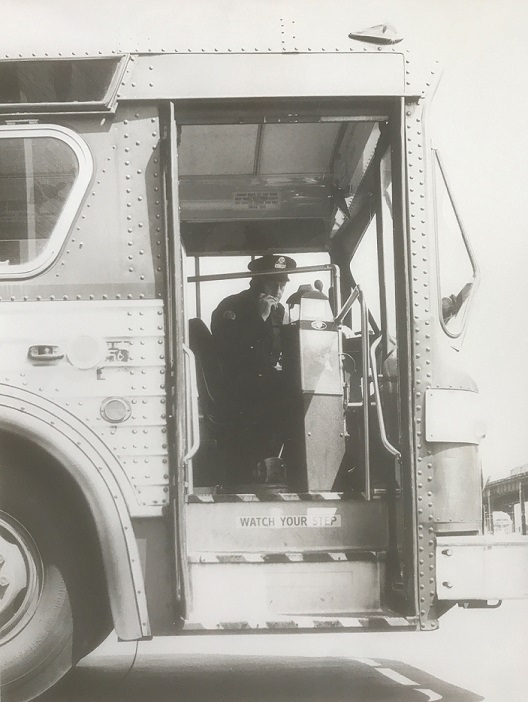 Note the fare boxes in both are the first version of the Johnson K-25 boxes with coin return drawer. That means that behind the box and therefore not visible is the drivers Johnson money changer. Fare in the first photo is given as 15 cents (as evident by the sticker on the side of the bus). Also note the fare box does not have the three letter abbreviation for the depot, just a fare box number. BTW, what does the half moon ribbon above the TA shoulder patch say?? That reminds me: When did two- or three-letter codes for depots (such as FLA or FLU or OTS or KB) start showing up on the sides of fareboxes next to their numbers - 1972 or thereabouts? May explain why no-one remembers any farebox code for the now-defunct 12th Street depot in the East Village of Manhattan . . .